Gov. 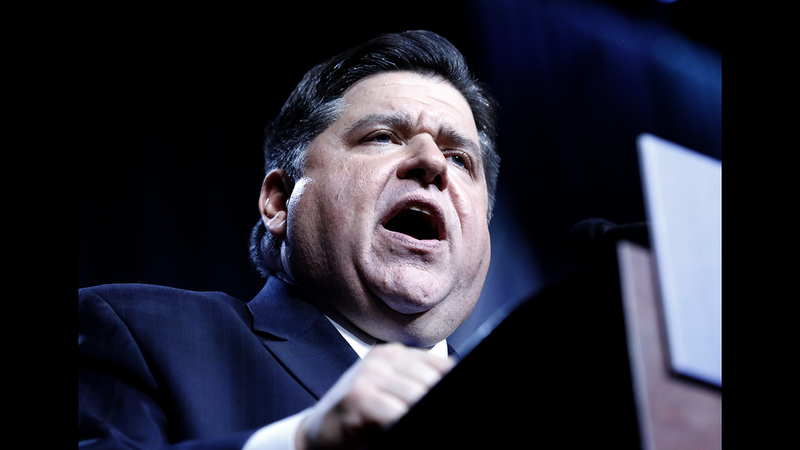 J.B. Pritzker signed an executive order Wednesday adding Illinois to a list of states that say they’re committed to reducing greenhouse gas emissions consistent with targets set in the landmark 2015 Paris climate agreement. Pritzker’s move to sign Illinois onto the U.S. Climate Alliance marks a sharp departure from his predecessor, former Gov. Bruce Rauner, who made little to no mention of the state’s role in curbing carbon emissions that most scientists agree contribute to global warming. Rauner was silent in June when the state’s General Assembly passed a resolution urging him to sign the state onto the Climate Alliance, a group that now includes 18 states with the addition of Illinois. Hundreds of U.S. cities, including Chicago, have also pledged to uphold the terms of the Paris agreement since President Donald Trump withdrew the U.S. from the deal in 2017. Altogether, the coalition of states, cities and counties committed to meeting the Paris targets represents more than 40 percent of the U.S. population, according to the U.S. Climate Alliance. As part of the Paris agreement, adopted in 2015 under former President Barack Obama, the U.S. set a target of reducing emissions by 26 percent to 28 percent by 2025 based on levels from 2005. The U.S. is now the only country on the planet not part of the agreement, which aims to keep global average temperatures from rising more than 1.5 degrees Celsius compared to pre-industrial levels. The order comes in the wake of an alarming new report from leading climate scientists warning that the world has just 12 years to cut carbon emissions nearly in half in order to maintain a livable planet. Sierra Club Illinois Director Jack Darin said Pritzker’s decision to sign Illinois onto the climate pact as one of his first actions demonstrates his commitment to tackling issues related to climate change.